Can thought influence matter, the soil and the seeds? 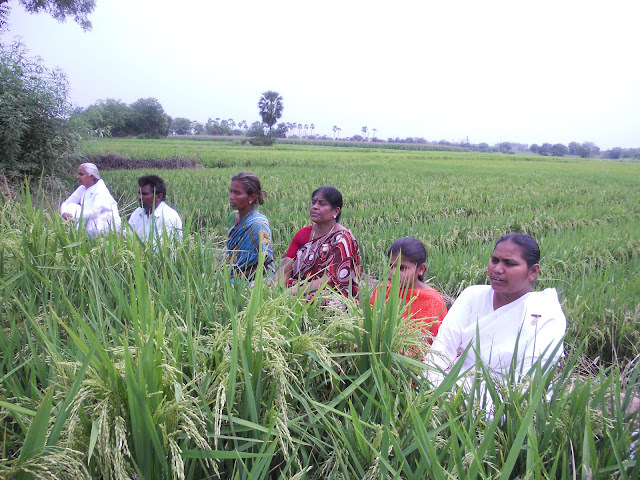 An experiment conducted in India shows the effects of meditation on agricultural performance. The story of yogic agriculture starts in Kolahpur, 300 km south of Bombay, in one of the yoga Centres of the Brahma Kumaris Spiritual University. Manisha takes care of the garden, she talks to the plants, probably in the same spirit as they do at Findhorn . She regularly tells the farmers who take the meditation course to cultivate their fields using the power of God because Manesha is convinced that what she does in her garden with the flowers, the farmers can also do in their fields with their harvest. She motivated a friend, a farmer’s wife, who frequented the meditation Centre. Her husband, Bahasahib, was not enthusiastic, but his wife insisted and so Bahasahib finally accepted to let her use a small piece of land, the most arid and rocky. A few months later, during the monsoons, insects attacked the young shoots and the farmer was ready to spray them with insecticide. He first talked to Manesha who asked him to wait two or three days. The same evening she went to the field with a group of yogis. They meditated for half an hour at the side of the plants, sitting on tarpaulins on the mud, as it was the rainy season. That year, Bahasahib got the best yield of sugar cane from that small plot. It is impossible to rationalize the effect of meditation; but the fact was that, to the astonishment of neighbouring farmers and Bahasahib, insects did not attack the plants of sugar cane. Thus he became the first Indian farmer to experiment with yogic agriculture. Yogic Kheti For many years the Brahma Kumaris have organized activities in rural India (which makes up 70% of the Indian population) in order to educate people on values, to eliminate addictions like tobacco and alcohol and free people from habits contrary to their tradition. The Institution asked Manesha, as well as farmers and agronomists who practice meditation together, to define the principles of yogic agriculture. A regional campaign was developed in several states of India, to invite farmers to try the experience; in Maharashtra, where the idea was born, in Gujarat where the Brahma Kumaris are well established and in Punjab and Haryana, in the north, the two states dubbed as the country's breadbasket. The objective of the campaign was to promote organic farming, freeing farmers from their dependence on pesticides, GMOs and other hybrid seeds and adding the practice of guided meditation on seeds. Meditation was also practiced throughout the duration of the work in the field. Six years later, 7000 Indian farmers have adopted this practice, which is deeply connected to their civilization. It is a subject which has been scientifically monitored over 5 years in two agricultural universities in the country. Many Europeans who practice meditation have also embarked on experimenting with yogic agriculture (see Piero’s testimony later in this article). · Daily group meditations are organized to charge the room with spiritual energy. · Visualizations of the 7 colors of the spectrum associated with 7 spiritual attributes charge the atmosphere and the seeds. (for example, peace, unity, harmony, brotherhood, integrity clarity, determination – or other variations). · Farmers meditate for a few minutes before sowing, a kind of offering to the deity, and at the same time to the earth, to harmonize the energies of nature. They then visualize the color red, a symbol of strength and responsibility. · Every Thursday, they go to the field for a special meditation. Each element of nature is identified with a color: blue for ether/sky, yellow for fire, orange for water, and red for the earth. This meditation strengthens the element that lacks energy. · They take an hour a day to send spiritual vibrations to their fields, especially 15 minutes in the morning and 15 minutes at dusk. 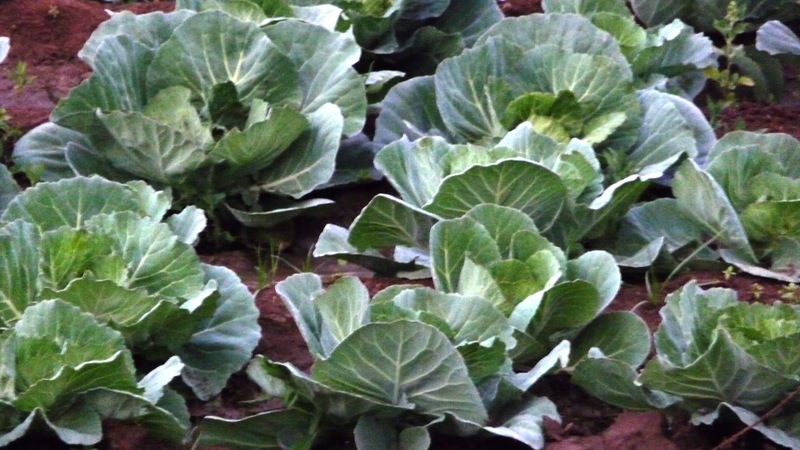 · In case of crop diseases, they meditate on the infected plants by viewing the disease disappearing. · Flags symbolizing yogic practice are placed at each corner of the field. The comparative analysis of different fruits and vegetables showed significant differences in the quality of products in favour of the yogi agriculture. For example, the energy value of 100 grams of tomatoes increased from 19.5 to 27.47 Kcal. Fats were lowered from 0.2 to 0.1%. Such measures are insufficient to draw general conclusions; however, they are very encouraging. Three questions to Rajesh Dave, Agronomist, Regional Rural Development and Agriculture. transferred to Bombay.He explained that when practicing meditation on his field near his hometown, he invokes the spiritual forces to mother earth, and asks her permission to use the field, with very positive thoughts. Not a single day goes by without invoking these forces, when he meditates at dawn, a practice he also taught the peasants in the villages. Rajesh Dave is convinced that yogic agriculture is also acceptable to the Western mentality: Tell me why so many Westerners like India? This is a poor, dusty, dirty, overpopulated country. Everything is difficult, uncomfortable, and yet they love India for its vibrations, the love that fills the atmosphere. All forms of life are affected by vibrations, even the germs and bacteria. We generate our vibration with our spiritual energy. Meditation teaches us to generate a pure, positive vibration, to harmonize humans and mother earth. What do you want to achieve with the yogic agriculture? Rajesh – The soil is dying due to the artificial, chemical treatments of the agricultural. It is the same thing as the human intestine that has no more intestinal flora. There is need for vibrations and for a farming method that will replenish the soil. Yogic agriculture takes into account these aspects at a spiritual as well as at a physical level. Yogic agriculture also preserves resources, as there is less need for water and above all it is non-violent: live and let live. It is common sense. It does not exploit the earth but it will leave a rich soil to future generations, to our children. You know the expression: tell me what you eat and I will tell you who you are! This is part of yogic agriculture. But, more than all that, to eat yogic agricultural products is to prepare non-violent individuals. Peace is internal and is expressed in action. The law of karma is dear to Eastern cultures. An individual in peace, brings peace in agriculture, and foods bring back peace. This is the way to grow spiritually on a physical level. Rajesh – You've heard of the problem of Indian farmers committing suicide when they are ruined; when they cannot pay for their seeds, pesticides, when their crops are destroyed. Farmers who incorporate meditation into their daily life and in their profession gain great strength of character. They are able to find solutions to their problems, they are united, and they never give up. A yogi has faith in life, in himself and in others. With yogic agriculture, farmers no longer need to borrow from foreign multinational companies who sell pesticides and industrial, catastrophic fertilizers. Operational costs are thus less and they have more benefits because they produce the same quantity, but of better quality. Living in the Gubbio area (province of Perugia), Piero decided to start yogic farming on 200 acres of farmland. His first challenge was to move from conventional farming to organic farming and to obtain certification of its produce. Also to convince the farmers working on his land, who were reluctant to change their working methods. Today, 80% of Piero’s land is certified and the remaining 20% will be certified at the end of the year. What do you cultivate in your fields? Piero – I looked for old unmodified seeds that are neither GMO nor hybrids. We grow spelt, durum wheat, and several kinds of millet, buckwheat, chickpeas and sunflowers. Our seeds are cultivated differently from hybrids. The hybrids make me think of the junkies, they need their dose of pesticides or else they have withdrawal symptoms. With the old seeds the production is smaller but the meal is more nutritious and does not trigger allergies for people who have a problem with gluten. I have heard that the problem of allergies to gluten may be linked to modified seeds. What method of ploughing do you use? Piero – We use steel discs that turn the soil between 10 and 20 cm. in depth. In this way, we do not touch the microscopic life that is underground, under the first soil layer. We use no weeding, no pesticides, and no fertilizers. Sometimes we see plants grow that we have not sown. Do you meditate on the seeds as they do in India? Piero – Yes, as much as possible. Considering the volume of seeds we plant we cannot place all the sacs in a room. We take samples of grains, and the people who live here meditate every day. People, who come to the property, attending meditation and silence seminars, also participate in the collective meditations on the seeds and in the fields. I have gone to meet the yogi farmers in India; I like their concept a lot. Like they do, I have placed flags at the four corners of the fields and when I tour the grounds, I meditate in situ. This reminds me of my motivation. Piero – I practise Raja Yoga. I want to have a clear mind and a body in good health. This requires good food. The nutrition and the air we breathe is our foodstuff. It is a mission to provide people with quality foodstuff. Yogic agriculture is like establishing a sort of golden age in our agricultural system. We give nature the best conditions to express herself. It is a love story with this business, with nature. These are rewarding feelings for oneself and for others. It's all part of yogic agriculture. We get to know the self, we discover. What for example have you discovered? Piero – Spring is the season when the landscape changes every day. There is nothing like it, an immense joy. You pass the same place; you notice the changes from yesterday. In September we had sown the grain and in the spring we discovered a wild crop, in bigger quantities, growing in the field. It was oats... We call these the neighbour plants, the friends. We were not disappointed, in the contrary. We wished to understand why the wild plant was more powerful than our seeds. We chose to give the soil freedom, not to impose our control. I have a good farmer who manages the land, I like his mindset. He can read the history of the field, and he is teaching me. This is yogic agriculture. But the production, the profitability, is it satisfactory? Piero – Our crops are smaller, it is true, but the quality is superior. A pulp mill that I sell my flour to compared it with "normal", organic flour. They told me, after analysis, that my meal had a better structure, more protein, it is more resistant. The seeds are the same at first, but the method, the soil, is what makes the difference. In fact, there is not only the chemistry of the elements, the seeds are alive. Life is not made up only of chemistry. Here we are very close to Assisi, which is a Mecca of spirituality for the whole world. I am convinced that this has an impact on our harvest and on the soil, in addition to our meditations. And if we produce 20% less, our flour is 30 to 40% more expensive due to its quality. Recently, wheat from hybrid seeds sold for 20 cents on the European market, while the wheat Camut was sold at 70 cents.